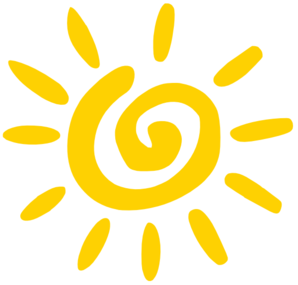 The Plant-Based Pharmacist's Blog: How To Feel Vitamin "D"errific! Vitamin D, also known as the sunshine vitamin, has become nothing short of a celebrity over the past few years. In fact, you would be hard pressed to find any doctor, pharmacist, or other healthcare practitioner who hasn't heard of all the health benefits it has to offer. From its role in making strong, healthy bones to improving heart health to decreasing the risk of cancer it seems as though there's nothing vitamin D can't touch. This brings to mind several questions. Is vitamin D the new miracle pill, or is it simply a passing fad benefiting the bottom line of those with clever marketing skills selling supplements? And if vitamin D is really as prolific as they say it is then does everyone need to take it or just a particular segment of the population? How much is too little? Too much? Is it better to get vitamin D in the form of a pill or from the sun? I hope to answer these questions and more as I sort through the vitamin D maze of confusion to offer practical, reliable, and evidenced-based information on exactly what you need to know about this new superstar of the supplement world. Vitamin D is not a vitamin at all but rather a prohormone produced when the skin gets adequate amounts of exposure to ultraviolet B (UVB) rays from the sun . The vitamin D produced by our skin is called vitamin D₃ or cholecalciferol . Cholecalciferol is transported from our skin to the liver where it's metabolized into calcidiol, also known as 25(OH)D. Think of calcidiol as the storage form of vitamin D in our body, much the same way that a large amount of propane acts as the storage form of fuel inside a large holding tank ready and waiting to run various appliances inside a person's home. The propane cannot be used when stored inside the tank but without this supply a person cannot run the appliances located in their home when they need to. Calcidiol is the same, it needs to be converted into a usable form in order to be utilized by our body. To do this, calcidiol is transported to our kidneys where it is metabolized once again into the activated form of vitamin D known as calcitriol or 1,25(OH)₂D. This process is the equivalent of opening the valve on a barbecue grill or the fireplace to allow the propane to flow in and then lighting it with a match to produce a flame. The propane is now performing a viable function just like calcitriol can perform a viable function within the body. Like our houses, our body has various "appliances" needing fuel to function which the calcitriol provides. To date, scientists know of 36 different tissues in the body relying on this activated form of vitamin D to carry out a variety of functions . These "appliances" include cells found in our bones, intestines, heart, brain, pancreas, thyroid, and muscle tissue amongst others. The amount of vitamin D a person needs is determined by our blood levels. This blood level is also known as a 25(OH)D level. The official recommendations published by the Institute of Medicine (IOM) in November of 2010 recommend taking enough vitamin D to reach 25(OH)D level of 20 ng/ml . This works out to be approximately 600 IU/day of vitamin D₃ for ages 1 thru 70 and 800 IU/day for those 71 years of age and older according to the IOM. However, the IOM's recommendations were based solely on the needs of the skeletal system's ability to build strong, healthy bones. It failed to provide for adequate amounts of vitamin D to prevent and/or reduce a number of nonskeletal chronic diseases such as cancer and heart disease which caused a storm of controversy in the medical and scientific communities [9,10]. I agree with many of the doctors, scientists, and other experts who spoke out about this. A level of 20 ng/ml is too low when attempting to achieve optimal health with vitamin D intake. The best way to determine an optimal range for vitamin D is to look at the evidence. By looking at large scale, long-term studies reviewing various levels of vitamin D and mortality rates it becomes much more clear as to what we should be aiming for. With that being said, looking at the endpoint of death is a pretty good indicator of whether or not a specified range of vitamin D is optimal or not. Here's a look at two such studies evaluating this correlation between vitamin D levels and mortality. This study was published in the American Journal of Clinical Nutrition in 2010. Investigators followed a total of 1,194 men over a median duration of 12.7 years. They looked at vitamin D levels and three different rates of mortality—cardiovascular-related, cancer-related, and all-cause mortality. Their findings can be seen in the figures below. There was a clear U-shaped curve when looking at the relationship between vitamin D levels and all-cause mortality (Figure A) along with cancer-related mortality (Figure B). In this study, levels between approximately 28-30 ng/ml provided the best protection from passing away due to any related cause while levels between 29-31.5 ng/ml offered the lowest rates of passing on due to cancer. In general, the biggest drop in overall death rates were seen when subjects went from being vitamin D deficient to reaching adequate levels. However, too much vitamin D translated into a gradual increase in mortality for these two categories with cancer deaths rising significantly with the highest levels of vitamin D.
Cardiovascular-related mortality painted a different picture. There was a sharp drop in death rates as study participants went from being vitamin D deficient to approaching the magic number of 26 ng/ml. At this point there was a leveling off with no added benefit or increase in mortality seen with higher vitamin D levels. This study looked at an even larger cohort of the adult population including both males and females aged 20 years and older. It was published in the Archives of Internal Medicine in August of 2008. Researchers reviewed vitamin D levels and all-cause mortality in 13,331 individuals over a mean duration of 8.7 years. Their findings were similar to the findings published in study #1. Overall, there was a U-shaped curve when assessing mortality rates from all causes with both low and high levels of vitamin D showing an increase in the risk of death. Individuals with a vitamin D deficiency fared the worst though. They had a 26% higher risk of all-cause mortality than those with adequate levels. Persons experiencing the lowest all-cause mortality rates had vitamin D levels between approximately 32-38 ng/ml in this study. So how much vitamin D does one need? Based on the studies above, I recommend aiming for 25(OH)D levels between 30-35 ng/ml in order to avoid a vitamin D deficiency while still getting the benefits of reducing your overall risk of death regardless of the cause. It's important to work with your doctor, however, to have your vitamin D levels checked and to ensure proper dosing for your individual needs. What Are The Best Ways To Get Vitamin D? This depends on a number of things because not everyone is the same. Different factors such as where an individual lives, a person's skin color, age, sunscreen use, and even the time of year will affect how much vitamin D a person can synthesize from the sun . The availability and intake of vitamin D fortified foods also plays a role in one's status as does supplementing. So what's the best choice? This topic will surely be debated by many, but if Mother Nature had its way then sunlight would be the only source of obtaining this much needed vitamin. Sunshine is all natural and better yet it's free! As I just mentioned, there are several different factors affecting how your skin synthesizes vitamin D. Darker skin tones tend to make less vitamin D compared to lighter skin tones. Younger people have an easier time producing vitamin D than older persons do. The use of sunscreens has the potential to limit much of the formation of vitamin D in the skin due to the blocking of UVB rays, although if one is outside for long periods of time (greater than or equal to 30 minutes at a time) then sunscreens are beneficial for preventing sunburns and skin cancer . The good news is that it doesn't take much sun exposure to get adequate amounts of vitamin D. Most caucasians can get all the vitamin D their body needs with as little as 12-15 minutes a day of midday (between 10 am and 3 pm) sun exposure . Darker skinned individuals can get the same benefits with approximately 15-30 minutes of midday sun exposure. For those who don't have the opportunity to get out in the sun each day then vitamin D can be obtained from eating fortified foods or by supplementing. Fortified foods should not be relied on as a major source of vitamin D however because most of these foods tend to be animal-based or processed foods which increase the prevalence of the same chronic diseases one is trying to prevent in the first place by achieving optimal vitamin D levels. These foods include fortified milk, meat, eggs, yogurts, cheeses, oils, breads, and cereals [16,17]. A better alternative to eating these unhealthy foods is to supplement with vitamin D.
There are two main forms of vitamin D supplements one can choose from—vitamin D₃ (cholecalciferol) and vitamin D₂ (ergocalciferol). Vitamin D₃ is preferred since it is the natural form of vitamin D made by the skin when exposed to the sun. Most people will require between 1,000 and 4,000 units/day of vitamin D₃ to meet their individual needs . If you are a strict vegan then vitamin D₂ is going to be your preferred option since it is not derived from an animal (vitamin D₃ is produced from lanolin secreted by sebaceous glands of wool bearing animals—sheep) . Vitamin D₂ is typically derived from a yeast or fungi source. However, vitamin D₂ is 2-3 times less potent than vitamin D₃ and also has a shorter shelf life than vitamin D₃ . The typical dose of vitamin D₂ is 50,000 units once a week for most people. One important note—if you have any of the following medical conditions then talk to your doctor before starting on vitamin D supplements as these conditions can cause vitamin D hypersensitivity syndrome—primary hyperparathyroidism, sarcoidosis, or granulomatous TB . **NOTE** There has been new systemic review studies on vitamin D supplementation on chronic disease status since this article was written. Please see my updated article on vitamin D and subsequent recommendations here - Vitamin D - To Supplement or Not to Supplement? 1 Webb AR, Kline L, Holick MF. Influence of season and latitude on the cutaneous synthesis of vitamin D3: exposure to winter sunlight in Boston and Edmonton will not promote vitamin D3 synthesis in human skin. J Clin Endocrinol Metab. 1988 Aug;67(2):373-8. 2 Norman AW. From vitamin D to hormone D: fundamentals of the vitamin D endocrine system essential for good health. Am J Clin Nutr. 2008 Aug;88(2):491S-499S. Review. 3 Norman AW, Mizwicki MT, Norman DPG. Steroid hormone rapid actions, membrane receptors and a conformational ensemble model. Nat Rev Drug Discov 2004;3:27–41. 4 Suda T, Ueno Y, Fujii K, Shinki T. Vitamin D and bone. J Cell Biochem 2003;88:259–66. 5 Liu PT, Stenger S, Li H, et al. Toll-like receptor triggering of a vitamin D-mediated human antimicrobial response. Science 2006;311:1770–3. 6 Norman AW, Frankel BJ, Heldt AM, Grodsky GM. Vitamin D deficiency inhibits pancreatic secretion of insulin. Science 1980;209:823–5. 7 Grant WB, Schuitemaker GE. Health benefits of higher serum 25-hydroxyvitamin D levels in The Netherlands. J Steroid Biochem Mol Biol. 2010 Jul;121(1-2):456-8. 8 Ross AC, Manson JE, Abrams SA, et al. The 2011 Dietary Reference Intakes for Calcium and Vitamin D: what dietetics practitioners need to know. J Am Diet Assoc. 2011 Apr;111(4):524-7. 9 Calvo MS, Whiting SJ. Public health strategies to overcome barriers to optimal vitamin D status in populations with special needs. J Nutr. 2006 Apr;136(4):1135-9. 10 Bischoff-Ferrari HA, Shao A, Dawson-Hughes B, et al. Benefit-risk assessment of vitamin D supplementation. 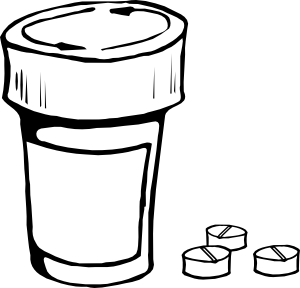 Osteoporos Int. 2010 Jul;21(7):1121-32. 11 Michaëlsson K, Baron JA, Snellman G, et al. Plasma vitamin D and mortality in older men: a community-based prospective cohort study. Am J Clin Nutr. 2010 Oct;92(4):841-8. 12 Melamed ML, Michos ED, Post W, Astor B. 25-hydroxyvitamin D levels and the risk of mortality in the general population. Arch Intern Med. 2008 Aug 11;168(15):1629-37. 13 Holick MF. Photosynthesis of vitamin D in the skin: effect of environmental and life-style variables. Fed Proc. 1987 Apr;46(5):1876-82. 14 Garland CF, French CB, Baggerly LL, Heaney RP. Vitamin D supplement doses and serum 25-hydroxyvitamin D in the range associated with cancer prevention. Anticancer Res. 2011 Feb;31(2):607-11. 15 Mead MN. Benefits of Sunlight: A Bright Spot for Human Health. Environ Health Perspect. 2008 April; 116(4): A160–A167. 16 Van Horn LV, Bausermann R, Affenito S, et al. Ethnic differences in food sources of vitamin D in adolescent American girls: the National Heart, Lung, and Blood Institute Growth and Health Study. Nutr Res. 2011 Aug;31(8):579-85. 17 Holick MF. The vitamin D epidemic and its health consequences. J Nutr. 2005 Nov;135(11):2739S-48S. 18 Houghton LA, Vieth R. The case against ergocalciferol (vitamin D2) as a vitamin supplement. Am J Clin Nutr. 2006 Oct;84(4):694-7. 19 Sayre RM, Dowdy JC. Darkness at noon: sunscreens and vitamin D3. Photochem photobiol. 2007 Mar-Apr;83(2):459-463. 20 Cannell JJ. Vitamin D toxicity. Available: http://www.vitamindcouncil.org/vitaminDToxicity.shtml. 2003 Sept 05. Updated 2011 Nov 3. Accessed 30 Jan 2012.